NEW YORK – It has been five months since the FBI arrested 10 men in a sweeping federal probe into the underbelly of the basketball world. As the three ongoing criminal cases resulting from the investigation plod along, it’s increasingly unlikely there will be another wave of double-digit arrests. 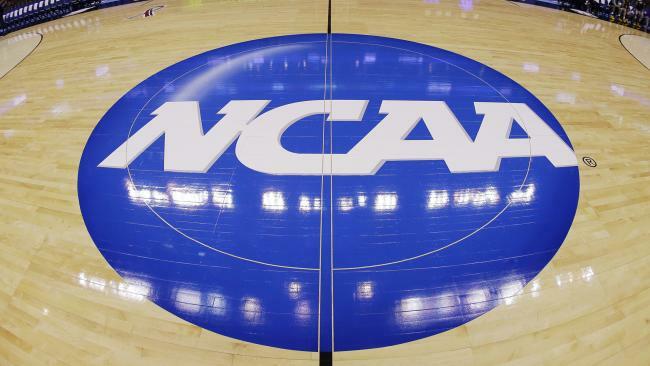 More legal charges still could come, but what’s becoming increasingly clear as the discovery portion of the case comes to a close is that the breadth of potential NCAA rules violations uncovered is wide enough to fundamentally and indelibly alter the sport of college basketball. The soundtrack to the three federal basketball corruption cases is essentially a ticking time bomb, which will inevitably explode. It will impact every major conference, Hall of Fame coaches, a score of current top players and some of the nation’s most distinguished and respected programs. So how bad could be it? In terms of NCAA rules, multiple sources told Yahoo Sports that the material obtained threatens the fundamental structure and integrity of the sport, as there’s potentially as many 50 college basketball programs that could end up compromised in some way. Among the documents expected to be in the federal government’s protection are the bank records of Miller, who bankrolled middle man, Christian Dawkins, who is at the center of two of the cases. NCAA officials are staring at the prospect of a tournament with a winner that will likely be vacating its title – and many others eventually vacating their appearances. There’s a lingering mushroom cloud over the sport’s upcoming showcase event that won’t go away. The most fascinating and tricky variable here is time. There’s a protective order on the evidence found in discovery in all three cases. Whether the information gets out in dribs and drabs or released at once, the consequences are expected to be severe. What’s certain is that there’s enough compromising information to rock the sport to its core. There will be thousands of pages of documents, hundreds of hours of wiretaps with the voices of prominent coaches brokering deals with the middlemen, sneaker executives and talent traffickers. Will it trickle out? Or get released all at once? That’s complicated and procedural. The NCAA’s involvement in this case so far has been minimal. They’ve been in consistent contact with the federal investigators, careful to respect the boundaries of the criminal investigations. Whenever the information is released from under protective order, the NCAA will have to continue to respect the boundaries of the criminal investigations as they begin their own. The routine nature of agents, runners and financial advisors operating in a world rife with payoffs, bag drops and kickbacks leaves the federal investigators at a fascinating crossroads. “The biggest mystery in this case is why more high-profile coaches and agents haven’t been brought in,” said the source who has been briefed on the case. There had been a flurry of activity in the case in the past week that had conjured some optimism for the defense attorneys. A Wall Street Journal report about an undercover FBI agent under investigation and a motion filed revealing a paperwork error appeared to poke some holes in the case. Those matters will ultimately have to be addressed, but any momentum for the defense attorneys was abruptly and tersely halted Thursday morning. Judge Lewis A. Kaplan, presiding on the 26th floor of the Daniel Patrick Moynihan United States Courthouse in lower Manhattan, denied a motion to dismiss one of the cases with the legal equivalent of a Dikembe Mutombo finger wag after a blocked shot. Lawyers for three of the defendants – Adidas executives Merl Code and Jim Gatto and business manager Christian Dawkins – had filed for a motion to dismiss the cases based essentially on the notion that the universities in the cases couldn’t be considered victims. They were, after all, benefitting from the players and their performances on the court. Until then, the NCAA tournament will be played amid the soundtrack – TICK, TICK, TICK – of potential chaos. Maybe the next one will, too. University presidents should be losing sleep. Millionaire coaches should be losing hair and plotting escapes to the NBA. And players should be preparing for their dirty laundry – or that of their relatives – to be aired. What would happen if the information under protective order were to be released before the NCAA selection show on March 11? With my constant cynicism that anybody in the US actually wants to punish corruption severely...I will be surprised if anything actually happens.